• Eric Howard, 23, has received a 3 year sentence for intentionally setting fire to a condominium building in the 3200 block of N. Sheffield last summer. Howard was arrested at the Center on Halsted a couple of days after the fires. He was on parole for burglary at the time. Green in action on a CTA train. • Prolific CTA pickpocket Matthew Green, 59, received three 4 year sentences to be served concurrently for separate theft cases in 2015. 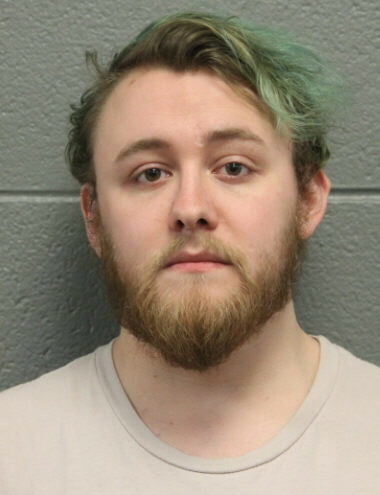 • It’ll be 6 months of court supervision for the Roscoe Village man who was accused of putting his hand down a woman’s pants during December’s Twelve Bars of Christmas bar crawl in Wrigleyville. 24-year-old Sudhanshu Agrawal received the supervision sentence in exchange for pleading guilty to one count of aggravated sexual abuse. Five other charges were dropped, according to court records. 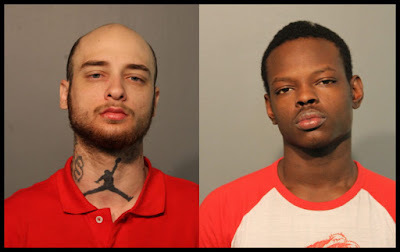 • Santez Yerger, 29, received a 2-year sentence after pleading guilty to participating in a smash-and-grab burglary of the now-shuttered Best Buy store at 2650 N. Clark in January 2015. Cases against several other alleged co-offenders are pending in court. • John Bonner, 25, and Jamal Rey, 20, each received four year sentences after they pleaded guilty to burglarizing a Wrigleyville home on October 21. A homeowner in the 1100 block of W. Addison called police after two men broke into his home at 4:45AM. Cops caught up with Bonner and Rey after the homeowner’s bank notified him that his stolen credit card was being used at a nearby convenience store. • Emmitt Crayton, 23, 4 year sentence for burglary in the 500 block of W. Hawthorne this spring. • Stephen Kee, 19, 6 year sentence for the same burglary on Hawthorne. • James Walker, 22, received a 2 year sentence for a burglary in the 2600 block of N. Wayne in April.